This past weekend I went to Colorado for the Parelli Gold Summit and stuffed my head full of plans, programs, patterns, and play. On Sunday, I took a two hour trail ride along the edge of the San Juan National Forest and ended up hanging out with the wrangler for a few hours afterward, as there were no others rides scheduled and I had some time before I had to drive to Durango and catch my plane. 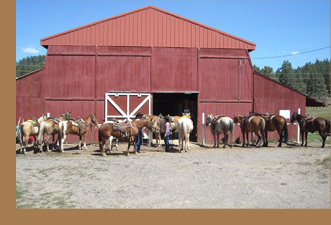 I booked the trip with Diamond Hitch Stables on Piedra Road, and every aspect of the experience was a delight. 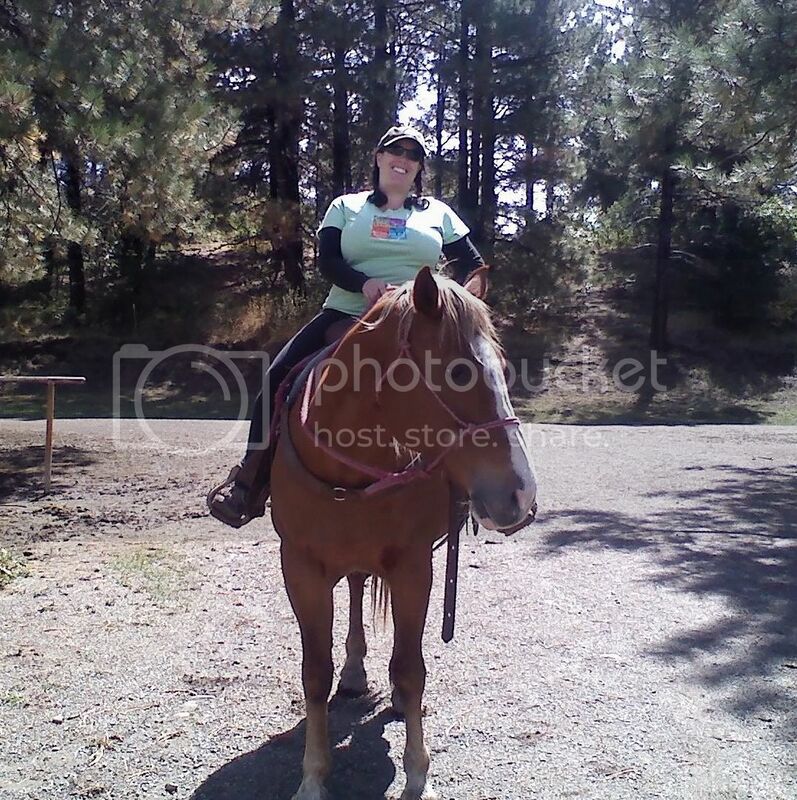 The trail ride proved to me how far I have come. Twenty years ago, I thought I was supposed to ride with contact and micromanage, because that is what I had learned in my lessons, and it ruined every trail ride I attempted; I send apologies to every one of those horses now. Yesterday though I stayed fluid and balanced and out of Majestic’s way, and she went along and did her job. The wrangler told me at one point that the mare often tried to eat or brush people against trees, but that she could tell that I was experienced and not going to let her get away with it. I smiled and thanked him for the compliment but inside I laughed, because leadership and confidence while riding have been the two biggest challenges for me since I started Parelli. Majestic was gentle and willing and gave me only one tiny challenge, which I easily handled. Today here at home I tried several new tactics. When Rock got antsy and engaged in some displaced behavior, I matched his energy by rubbing him like crazy, then releasing as soon as he stopped swinging his head. One of my DVDs shows Linda doing the same thing but it has taken me this long to grok it and learn to do it. I’m still not consistent but hey even a horse gets seven sessions to learn a new pattern. When he cantered around like a nutball I encouraged his direction changes with a “you want to go that way? okay! go that way faster!” until he asked nicely to come in and stick to me, even at the trot. 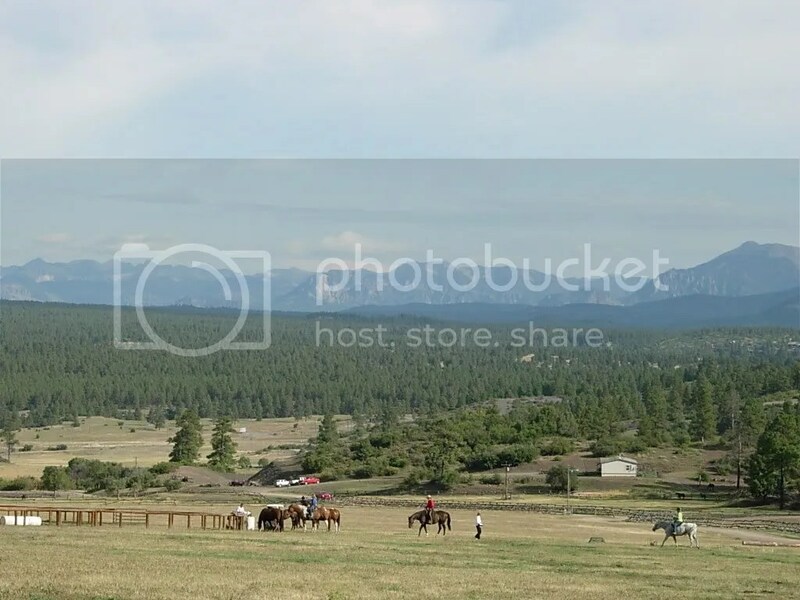 I opened gates at both ends of the arena and saddled up, then played on-line around the ranch before taking him to the tack trunk to mount up. There we had quite a while of spaz-rub-release before he stood close and still and ready for me to mount. I rode him into the arena for Follow the Rail, then out the west gate for a loop around the outside of the coverall, then another Follow the Rail (in the opposite direction), then out the back gate for a walk along the coverall and down the berm and across the grass and around the tree then back to the arena and so on. Rocky is feeling much better now that his feet are almost totally re-grown since his last shoe, and now that he’s on the loading dose of the Adequan. This is great for our ground work but kind of scary for riding. But I rode and trusted him and only once had the feeling of “I better get off!” which I obeyed. This was when he decided to shove his head through the top of the pipe fence and the bottom of the arch above, on the tractor gate that is too short to ride a horse through without lying flat. He extricated himself after I landed, and did not give me any trouble when I climbed the fence to get back on. I rode for — well, as usual, I have no idea how long. About an hour, I think, which is three times our usual session. We did only one or two backups, but we hit a couple of thresholds, dealt with some wigglywobbly, worked on fluidity and balance, engaged the natural power of focus, did not get discouraged, and one time I even had to give him a thanks-I-needed-that reminder from his back. I didn’t even think about getting off to do it, I just did it, and he went “whew!” and continued on. In that moment, I was not thinking of Linda, but rather of the cowboy who gave me a wonderful day yesterday, and what he did in a similar situation with his horse. As I write I am consumed by exhaustion, a combination of flight delays that had me driving home in the wee hours through a storm and the rebound fatigue from the motion sickness medicine (which is still way better than motion sickness!). I missed work this morning without realizing I had done so, including a phone meeting that I thought was scheduled for tomorrow, and I feel disoriented and vague. But I rode my horse, and I saw with rare clarity how far I have come, and I believe that I will indeed make my way out of Level 2 jail. Eventually.